Moving to Rio de Janeiro - Compare Movers & Save up to 70% ! Tired of worrying about how to plan a move to Brazil? Stop worrying and get packing for Rio de Janeiro! Intlmovers can provide you several moving companies specialized in international moving. Intlmovers is one of the most convenient moving services to help you plan an international move and gather moving quotes. Intlmovers is an online quotation comparison service that is completely free, so you can compare moving quotes and get the best price! Using Intlmovers is one of the easiest ways to find the right international mover to compare moving quotations. When you submit a moving request form from Rio de Janeiro your moving information is immediately forwarded to up to six international moving companies who assist you with a quote or any questions you may have about how to pack for your move to Rio de Janeiro. They will make contact with you directly in order to arrange a customized quote for your Brazil move. When you place your moving request with Intlmovers you will receive several quotations. You don’t have to call movers or fill out multiple international move quotations separately. You save money not only by comparing their quotes, but you can sample different services and related cost to your move. You are not obligated at any time to use our quotes. You only accept quotes that you are completely satisfied will meet your moving requirements! The international moving companies have years of experience with moves to Brazil. When it comes to exciting cities in the world to live in, Rio de Janeiro certainly tops the list. Rio de Janeiro is a major South American tourist destination with miles of white sandy beaches stretched out along the Guanabara Bay. Its world class resorts, restaurants, and sunny skies are an ideal place for those that like to live it up. It is an ideal place for sun lover mainly because it climate is a tropical savanna. It does have a rainy season lasting from December to March but the temperatures never fall below 20°C / 68°F so pull out the sandals you’re going to need them! Rio de Janeiro is the second largest city in Brazil and third largest in South America. Rio has one of the strongest economies in South America and hosts many of South America’s largest global companies. Rio’s primary economy is made of industrial manufacturing in apparel, textiles, electronics, foods and pharmaceuticals. Over 6 million people live and work in the major metropolitan area. The population in Rio is a mix of former white European settlers, native multi cultural settlers, and blacks. It also has one of the largest Portuguese populations outside of Portugal. Spanish and Portuguese are the main languages spoken. Brazilians love football and have a few World cup titles to brag about. The world’s highest capacity football stadium is located at Rio de Janeiro’s Maracanã stadium. It can host up to 85,000 guests which will be useful when Brazil host the World Cup Championship in 2014. Brazil has perhaps one of the most active cities today. Brazilians love to dance and enjoy Samba and Boss nova clubs and live brightly. The world famous Brazilian Carnival is just one of many ways this vibrant culture celebrates it colors. Use public transport – Its very reasonable priced and a cheaper option than absorbent auto tax and fuel cost. Learn salsa – Dancing is very popular in brazil and a great way to meet friends. Take some precautions – Keep things locked up around your house and car. Petty theft happens from time to time but not if you secure your property. Get medical Insurance – Everyone must carry their own heath care coverage, paying out of pocket is very expensive. Hit the Beach – Rio’s world famous Ipanema beach is definitely the place to go for singles! The cost of living have rocket in recent years. Food expenses can easily reach $600 for one to two people per month. If you are coming from the US expect your electric bill to double. The high cost of living has come from increased VAT taxes. Housing is a mixed situation in that you can still find reasonable housing depending on where you look. Rio de Janeiro is made up of several zoned districts and depending on which district you live in the housing prices can sky rocket in some districts whilst other districts may be unsafe or undesirable but cheap to live in. Education is not free to foreign children and can cost a considerable amount between $12,000 to $21,000 depending on the age and kind of educational institute you choose. What do homes and apartments cost in Rio de Janeiro? Understanding residence visas for Brazil can be a little tricky. Brazil allows tourist and business travel for up to 90 days without a visa. However, for doing business or attending a trade show you must apply for a temporary residence visa. There are seven visa categories offered two of them are for marriage or family. You may apply for a visa for business purpose if your parent company can prove there is a reason and a benefit for your employment to Brazil and makes a $200,000 investment in a Brazilian business. Investors are also allowed a 5 year residence permit visa if they invest $50,000 into a Brazilian Bank and show paperwork for the investment. Retirement visa are also acceptable if you are above 50 years of age and have a retirement income of a min of $2000 USD a month. 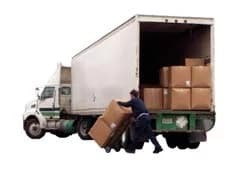 Once you have requested quotes you can feel confident in the knowledge that the companies who respond to you are reputable international moving companies. They have many years of trusted and reliable service to the international moving industry. That way, you can feel sure that your goods are being well handled and managed throughout the moving process to your new location in Brazil. Rest assured that all requests that are made via Intlmovers are absolutely obligation free. Whilst you may receive up to six quotes for your international move to Rio de Janeiro, it is completely up to you to take your time, review your options and make your own choice about your preferred moving company. If you do not feel satisfied with any offers you receive, you are under no obligation to select any at all.